In today's competitive world, preventing from probable breakdowns can be act as a powerful leverage for managers. They are faced with large complex systems. Hence, the realistic estimation of the reliability of such systems has become increasingly important and it is a vital complicated task especially in the cases where the system configuration is too complicated to present it via a Reliability Block Diagram (RBD). The focus of this research is on the reliability estimation of the complex multi-component systems; each failure mechanism is deployed from a given failure density function. Hence, due to complexity arises from unknown RBD, current research methodology is set based on computer simulation modeling. After investigating the simulation model validity, an example is examined to reveal simulation method advantages. To assess the proposed method, a typical example has also been discussed. Bentley, J. P. (1999). Introduction to reliability and quality engineering. Prentice Hall. Weber, P., & Jouffe, L. (2006). Complex system reliability modelling with Dynamic Object Oriented Bayesian Networks (DOOBN). Reliability engineering & system safety, 91(2), 149-162. Wilson, A. G., & Huzurbazar, A. V. (2007). Bayesian networks for multilevel system reliability. Reliability engineering & system safety, 92(10), 1413-1420. Li, W., & Zuo, M. J. (2008). Reliability evaluation of multi-state weighted k-out-of-n systems. Reliability engineering & system safety, 93(1), 160-167. Ge, H., & Asgarpoor, S. (2011). Parallel Monte Carlo simulation for reliability and cost evaluation of equipment and systems. Electric power systems research, 81(2), 347-356. Wang, Y., Li, L., Huang, S., & Chang, Q. (2012). Reliability and covariance estimation of weighted k-out-of-n multi-state systems. European journal of operational research, 221(1), 138-147. Jirgl, M., Bradac, Z., Stibor, K., & Havlikova, M. (2013). Reliability analysis of systems with a complex structure using Monte Carlo approach. IFAC proceedings volumes, 46(28), 461-466. Segovia, M. C., & Labeau, P. E. (2013). Reliability of a multi-state system subject to shocks using phase-type distributions. Applied mathematical modelling, 37(7), 4883-4904. Kim, Y., & Kang, W. H. (2013). Network reliability analysis of complex systems using a non-simulation-based method. Reliability engineering & system safety, 110, 80-88. Nguyen, K. A., Do, P., & Grall, A. (2015). Multi-level predictive maintenance for multi-component systems. Reliability engineering & system safety, 144, 83-94. Choi, I. H., & Chang, D. (2016). Reliability and availability assessment of seabed storage tanks using fault tree analysis. Ocean engineering, 120, 1-14. Wu, X., Zhu, Z., Fan, S., & Su, X. (2016). 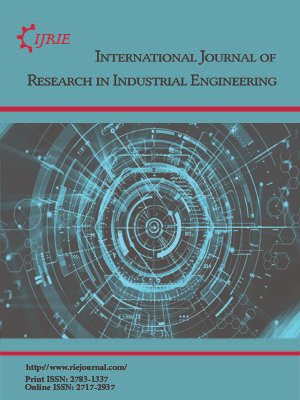 Failure and reliability prediction of engine systems using iterated nonlinear filters based state-space least square support vector machine method. Optik-International journal for light and electron optics, 127(3), 1491-1496. Fan, W., Yang, P., Ang, A. H., & Li, Z. (2016). Analysis of complex system reliability with correlated random vectors. Probabilistic engineering mechanics, 45, 61-69. Proppe, C. (2017). Markov Chain Monte Carlo Simulation Methods for Structural Reliability Analysis. Procedia engineering, 199, 1122-1127. Kumar, U. D., Crocker, J., Chitra, T., & Saranga, H. (2006). System Reliability. Reliability and six sigma, 105-141.